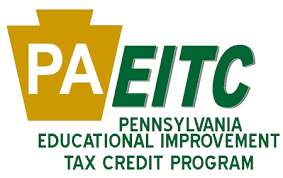 Pennsylvania’s Educational Improvement Tax Credit (EITC) program is a way for businesses to enrich educational opportunities for students and earn tax credits by donating to an Educational Improvement Organization. 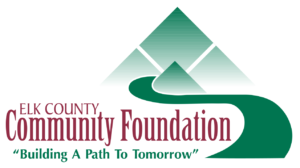 The Elk County Community Foundation (ECCF) has been designated as an Educational Improvement Organization under the EITC program. The EITC program makes grants available to public schools to support innovative educational programs that do not fall within the typical academic program. ECCF is an approved administrator of these grants. Why Should your Business Donate to the Elk County Community Foundation? Businesses can support educational improvement programs at our public schools while receiving significant tax credits through the EITC program. Through EITC, eligible businesses can receive tax credits equal to 75% of their contribution, up to $750,000 per taxable year. The tax credit may be increased to 90% of the contribution if the business agrees to provide the same amount for two consecutive tax years. ECCF must contribute at least 80% of its annual EITC receipts as grants to a public school for innovative educational initiatives that meet the requirements of the program. Any business that pays Pennsylvania taxes including Corporate Net Income Tax, Capital Stock Franchise Tax, Bank and Trust Company Shares Tax, Title Insurance Company Shares Tax, Insurance Premiums Tax or Mutual Thrift Institutions Tax can participate. For information on how this program can benefit your business while making an impact on education in our communities, contact the Elk County Community Foundation.